The news that made headlines this June, reveals one of the real dangers to professionals in the rental industry. Landlords and property managers have the potential to experience harassment, threats and even physical violence at the hands of their tenants. In the case above, a renter hired a friend to attack her landlord over an ongoing dispute, according to LA Times. 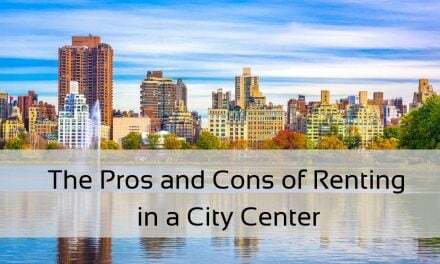 Due to the fact that landlords develop personal relationships with their tenants- one where the renter knows the landlord’s home address and even his schedule- their safety can be at risk if the relationship goes south. 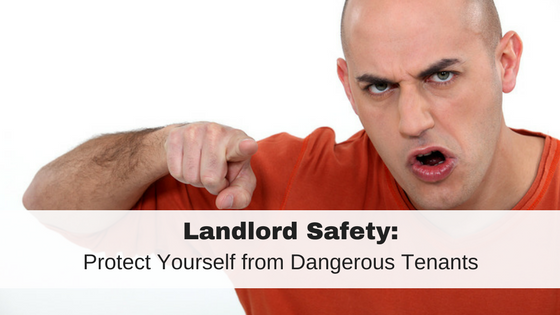 While the situation above is an horrifying example of landlord danger, it is more likely that a landlord will encounter hostile behavior from an unhappy tenant. Hostile tenants use intimidation tactics to harass or threaten their landlord in order to keep a security deposit, live rent-free or otherwise violate a lease agreement. It is important to be aware of certain safety precautions you can take to protect yourself and your property just in case your landlord-tenant relationship goes south. Get a P.O. Box for tenants to mail checks to. Try a Google Voice number for business calls. It’s free and prevents your tenants from constantly calling your personal number with complaints or threats. As an added bonus, Google will transcribe all voicemails for you for easier record keeping. Check your Insurance – An angry tenant poses a real threat to damage your property. Key things to think about when getting a landlord insurance policy include buildings insurance, contents insurance, emergency assistance, legal fee coverage, and accidental damage. Screen Your Renters. Tenant screening goes beyond reviewing a tenant’s credit report and criminal background. You should verify professional and landlord references to find out if the applicant has a history with aggression (make sure to google the business and call the online number to make sure they gave you a real reference!). If your tenants start issuing threatening messages or menacing acts to you, here are some ways to manage it professionally. Do not threaten back. Keep calm and respond professionally. Call the Police if you feel threatened or in immediate danger. Having records will help you if you need to go to court. Ask a witness to be with you during interactions with your tenants. Tell the tenant that all communication must be done in writing. Save all of the texts, emails, and voicemails. You might need them in court someday. In some cases, a tenant may threaten to take you to court. 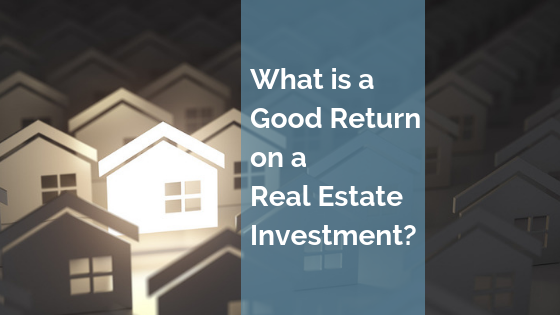 If your renter claims he will sue you, you can verify the legitimacy of this claim by asking to speak with the attorney they claim is representing them. Get the lawyer’s phone number and give them a call. Lawyers have an ethical obligation to follow the law, and cannot encourage a tenant to pursue a course of action that is not justified. Chances are, the attorney will speak to you more respectfully, making it easier to resolve the problem. Ask for information from the attorney in writing. This puts the ball in her court to contact you. Be careful though. This will undoubtedly [upset] her something serious. Well whoopee doo. She’s already angry. But what you do need to do is follow up with a maintenance visit 30-60 days BEFORE the end of the tenancy so you can note damages, repair them, and bill them to the tenant. Don’t wait until the end to find out how many holes she and her ex-con boyfriend have punched in your walls. There won’t be enough deposit to cover it, likely. Hire a rough and tough handy man who looks like he leads a biker gang to go over to take care of it. If she refuses to let him in for a scheduled appointment (post time and date on the door in advance, of course), bill her for the service call and reschedule. Rinse, repeat as often as necessary, and keep sending the bills and deducting them from her rent. The day she doesn’t pay the charges and is short on rent, evict her. Remember that you have rights when it comes to protecting yourself from negative behavior from your tenants. Follow the law, don’t get emotional, respond professionally, contact the authorities, have a landlord-tenant lawyer on your side, and move forward with a legal eviction if necessary. And don’t forget to screen your tenants. Do you have any negative tenant stories? Share your experience in the comments. 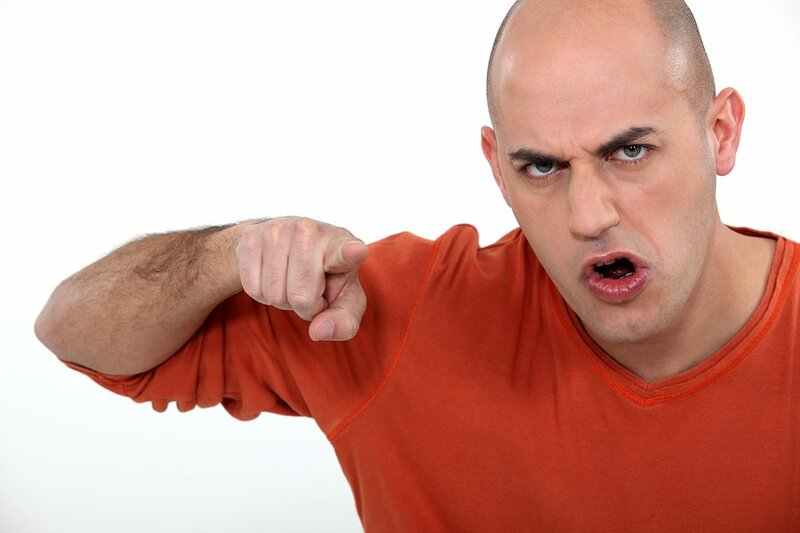 How can I handle a tenants verbal abuse? She has accused me of things I haven’t done. She enjoys coming into the office screaming calling me incompetent & accused me of being an illegal threat me with calling Immigration etc. Do I have rights as en employee? P.S I am a US citizen never in Gage on such despicable behavior with her of anyone else. I would talk to your supervisor about the situation. It sounds totally unacceptable. You should try and always have a witness with you when you have to interact with the tenant. Take detailed notes of all the interactions you have with the tenant. Talk to management to see if there are any warnings or notices you can issue the tenant. Is there something in the lease that says all tenants must behavior appropriately to other tenants, and management? oh my gosh, that is very scary. I would speak with a lawyer right away about advice for further protections. I have a tenant who constantly keeps me playing defence. I gave him a six month lease in which he agreed to be the ” Best Tenant I ever had ” if I gave him a chance. At this point he looks like he is going to be a washout, but he believes he is going to renew no problem. I suspect he is an abusive person in that he has so many workarounds when I try to assert myself as landlord. Do you have any recommendations about how to deal with him. He is African American and also has a sixteen year old son. I don’t want to discriminate and dont feel I have at this point. If the lease is over, can’t you just give a notice to vacate without cause? Make sure to check your state laws and provide proper notice. Good luck!